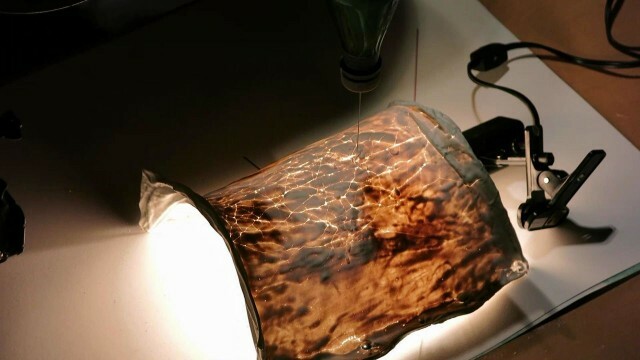 This project uses synthetic biology as a wearable microbial factory to convert sunlight into useful products via the wearable. The symbiotic relationship between a photosynthetic microbe (microalgae/cyanobacteria) and a consuming. compatible microbe (yeast/E.Coli) converts sunlight to sucrose, then sucrose to useful materials such as pigments, drugs, food, fuel etc. The algorithm used through this process to create the wearable is taken from the growth pattern of bacteria. This creates recursive forms from the many iterations of the algorithm, which produces the pattern of the wearable. The relationship between the most primitive and sophisticated life forms is a novel display of how biological functionality can be harvested to create useful products. 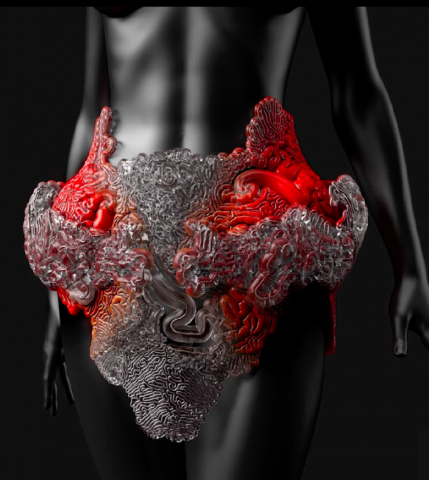 This is an interesting idea to have microorganisms used as wearables, as most clothing is made from synthetic materials. When I read the prompt for this particular week’s Looking Outwards I was happily surprised to see both the Computational Fabrication Group and Mediated Matter Group from MIT. While both their work has been commonly shown around the new media courses in my time at CMU, I too have a slightly personal connection with both of these groups and their work as well. First to fall into my view was a video by the Computational Fabrication Group from MIT. In late 2013 when my brother had just started his first semester at MIT he had sent me the link to one of their video’s titled ‘Computing and Fabricating Multiplanar Models’ and insisted I watch. Back then I was much less aware of how technological advances had influenced art so potently and was fascinated at the concept of inserting a blunt line of command into the computer and arriving with a real physical fabricated copy modeled already through technology. I find it not only astounding, but admirable (to say the least) that through a strict, blunt, logical line of algorithms one can manifest a real, new, and tangible creative form. These technologies allow the future to hold no boundaries for imagination and groups such as the MIT Computational Fabrication Group continue to charge forth in discovering new and creative innovations that expand artistic practice even further. I found that Spirals by John Edmark especially intriguing, not only because the beauty generated by pure geometry, but also because all of the pieces in this project are not merely static forms. What I really admire about this work is that, it explores patterns in the underlying spaces and brings it to the obvious and observable level. As a result, while most people think about sculpture forms as static, Edmark introduces kinetic energies into his pieces, and makes them transformable. For instance, one of the pieces call Bloom, is designed to animate and transform to a very different outlook when it spins. Furthermore, the Bloom provides visual satisfaction by making each of its appendages to stop spinning at an exactly 137.5 degrees angle, the golden angle, which exists in many natural forms such as the sunflowers. I’m currently in the midst of a History of Architecture course, so have been thinking a lot about the reasons behind the building of structures across time. In thinking about this, I naturally gravitated towards Parametric 3D Fabrication in architecture, finding quite a bit surrounding Wassim Jabi, who not only is an architect but also teaches computer-aided design. On presentation discusses Parametric Design and Byzantine Churches – showing that, though the Byzantines didn’t have computers, they did design with specific parameters, especially regarding the travel of light. 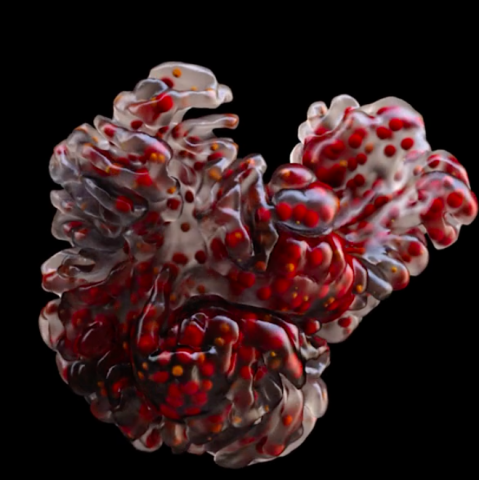 Personally, I feel that this knowledge takes a great deal of the “unusual” edge off of using parametrics and technology to create art — humans have been doing it for ages! Clearly, his work and teaching shows this progression, and emphasizes how architecture should be moving along with the pace of other technologies and should serve them. The pieces are envisioned by a command that would be difficult for technology to execute without setting a complex configuration of parameters, components, and codes. According to the designer, ‘these objects cannot be printed, nor produced in reality. they exist only in the virtual space. the tension between the real and the virtual, between 2D and 3D inspired me to create this collection’. What’s inspiring about this piece is the way it highlights the endless bounds of programming. Raw and unique beauty was created by something so mechanical; this juxtaposition makes the series even more breathtaking. Photos courtesy of Design Boom. Louis Eveillard, graphic and interaction designer, created soundshape, a unique program that converts different amplitudes, frequencies, loudness and more into shapes, specifically for parametric 3D printing. 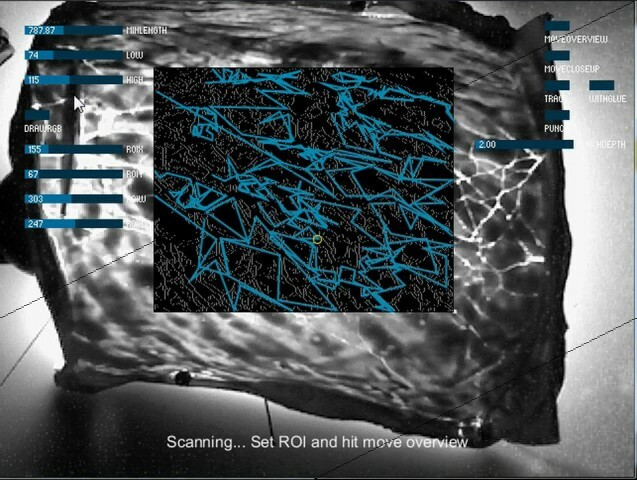 To create this program, Eveillard used Minim, a processing library, and Fast Fourier Transform. Fast Fourier Transform is an algorithm that can, for example, take a sound or signal, get the amplitude, and convert the amplitude into the altitude/height of the shape. This is a great project because the ability to convert sound into shapes means that there will be more opportunities to make interesting and creative designs. It makes sense that Eveillard, who is an interaction designer, would make a unique interactive digital product. What drew me to this project was the simplistic yet elegant way that 3D printing can generate art. 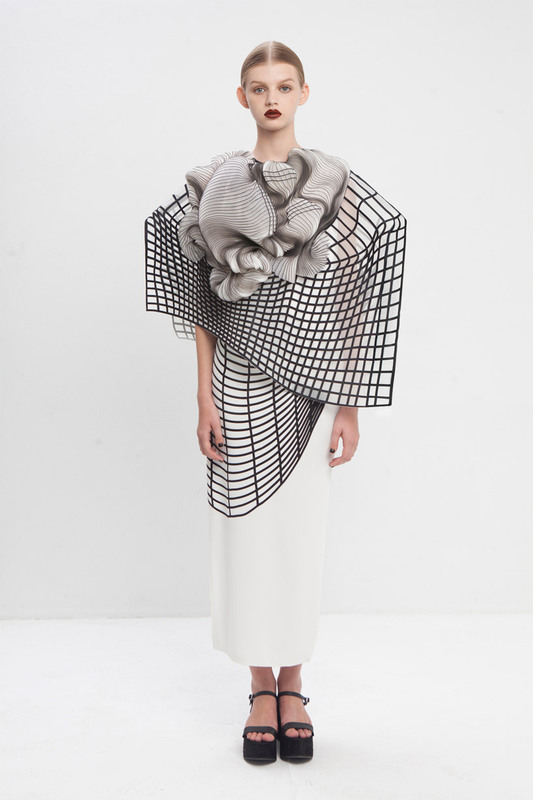 These clothes were made by Israeli designer Noa Raviv, who was inspired by grids to make the outfits. The simple and sharp linear structures give the clothes a futuristic quality that is really interesting to see. 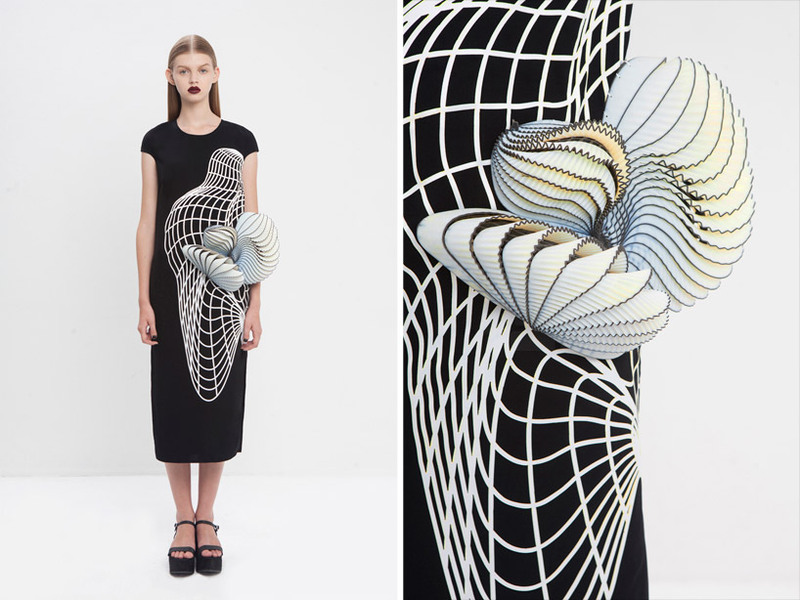 My favorite part about 3D printed clothes is that there are so many intrinsic details that are possible because of the new material being used, which means more designs and fashion trends- if this becomes more widespread. It seems like Nike is always ahead of the curve. Along with their wool knit shoes, they are now using 3D printing techniques to make higher performing cleats. The Nike Vapor HyperAgility Cleat has been developed with a 3D printer, produced to help athletes turn better on turf. Although this is a mass produced object, it inspires me because as a child, I had to wear special shoes because I had flat feet and weak ankles. In the near future, custom shoes could be 3D printed for special needs like these – and the shoes wouldn’t have to be ugly. For now though, the 3D printed nike shoes, have a level of detail that is captivating. Besides making lots of money, Nike is committed to athletes doing their best. The form and its enhanced function help athletes achieve their goals, and help brand loyalty. Well, anyways, they look cool. The FitSocket from Biomechatronics Group on Vimeo. Created by Arthur Petron, Hugh Herr, Roy Kornbluh, and Neri Oxman as part of the Biomechatronics Mediated Matter Research Group at MIT’s Media Lab, the FitSocket is a device that creates an accurate mapping of areas of softness and stiffness in a limb of a patient with an amputated part of their body. Since most prosthesis sockets don’t typically have repeatable quality and comfort from one amputee to another, the project aims to develop more comfortable and better fitting wearable devices through identifying the correlation between leg tissue properties and the design of a comfortable socket. I chose this project because I like the way that they are creating medical devices through studying the human body. One day, I hope to design interfaces for medical devices. It is admirable that they are aiming to create a more c0st-efficient and comfortable device for amputees. I think the technology that they are developing could extend further than this audience into a more broad and generic user. Perhaps one day, the parametric object of the 3D map of the leg can be used to better predict a prognosis for any patient. I wonder if to create the correct algorithm for the project they had to create separate functions for each of the moving aspects of the FitSocket or if they used a loop to make them work together and in unison. I am not sure what software or scripts they used to make this, since that information is not provided. The creators’ artistic sensibility is evident in the appearance of the map of the limbs- in colors and in using this as a method to create better sockets for prosthesis devices. The School of Architecture at Princeton University is working on a project to research the strength of gypsum shells through the use of computational algorithms. The project analyzes the structure and form of the gypsum by using an ‘ABB 7600’ robot to continually break and mend the shells. The machine examines the form of the gypsum each time it breaks the shell, and then repairs it by gluing the weakened areas. The researchers hope to see that the shell has a stronger bond and greater ‘load-bearing capacity’ each time it is repaired and reinforced. I find this project interesting because the pattern that guides where the robot works is determined by the material itself rather than a strict analytical method. The process of gluing the shell is driven by the gypsum’s crack pattern rather than an alternate and predetermined design. This is inspiring to me because the architects are working to solve the problem of strengthening and reinforcing properties of an imperfect material. While it is still under investigation, this project could later be applicable to various other environments, such as full buildings and other structures subject to natural deterioration.